At Begin With Us, we know what children like and, equally important, we know what they need! 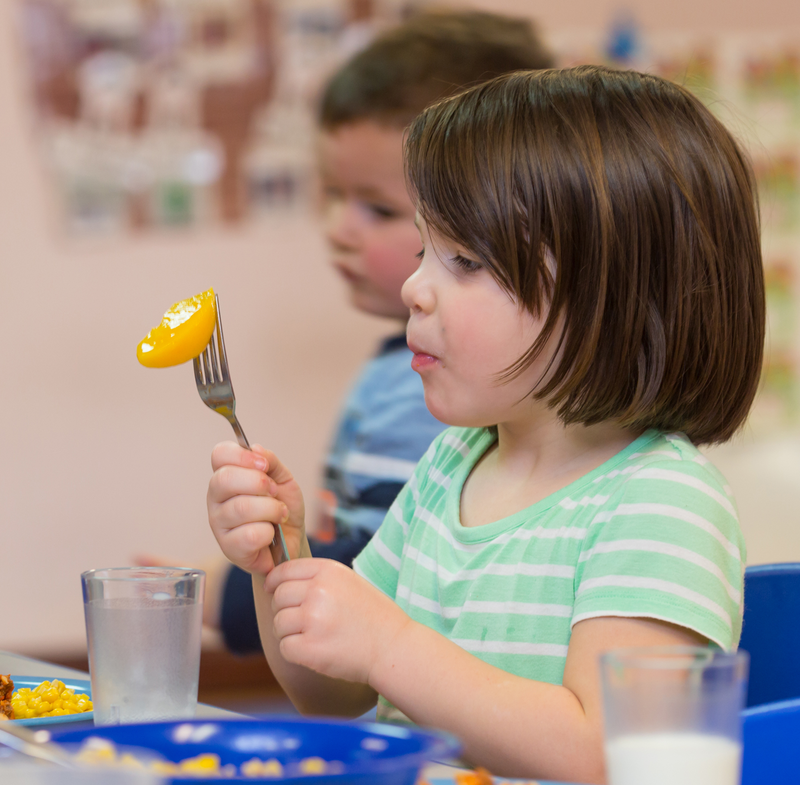 Every day, we serve a wholesome and nutritious breakfast, lunch, dinner, and snacks at no additional charge to parents in accordance with the U.S. Department of Agriculture. A weekly menu is posted in each building. Our on-site chef follows the state and federal guidelines to prepare hot, homestyle meals in our fully equipped and modern kitchen. Practitioners keep parents informed of their child’s eating habits, via take home notes and will work with you to accommodate dietary needs or restrictions that your child may have. We make mealtime a learning, sharing, and pleasant experience to help children develop life-long healthy eating habits. You will find a teacher joining the children to model table manners and positive eating habits. 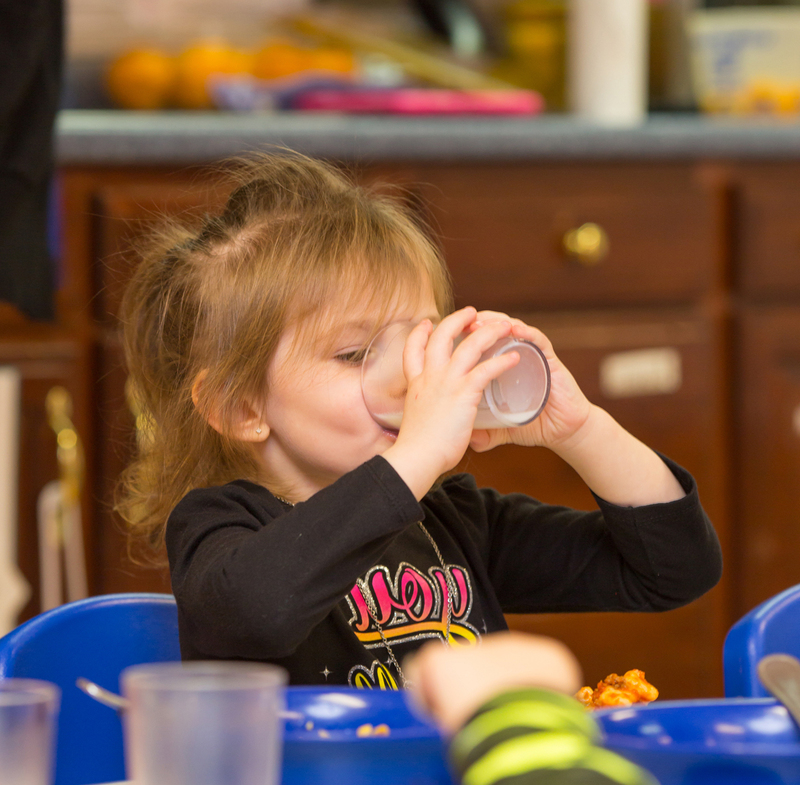 Milk is served during meals and snack-times and water is available at other times of the day at your child’s request.